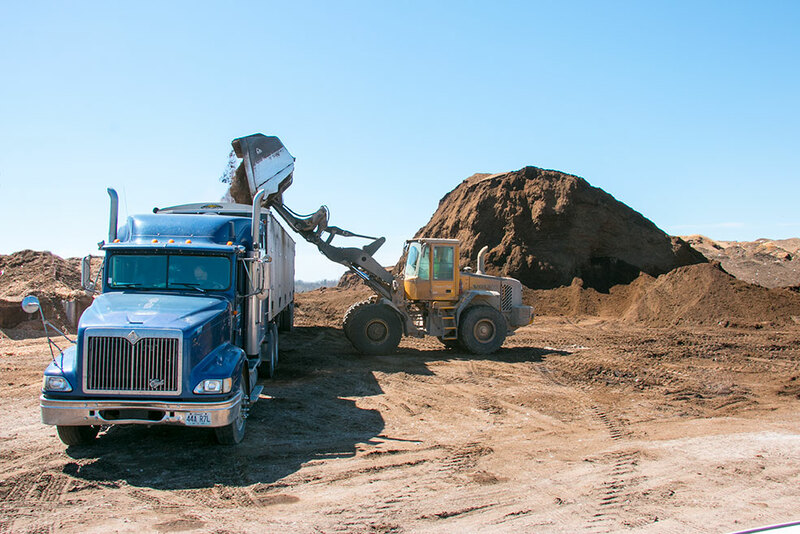 Our turn-key composting facilities offer a wide variety of superior quality compost, customized compost and soil blends, as well as full service organic and food waste removal recycling systems. Large organic waste generating facilities such as farms and large food service feeders are our specialty! Contact us today for a personal consultation. Expect tremendous results! Our flagship premium compost blend works wonders for top-dressing lawns or as a soil amendment for nutrient depleted soils before planting any trees, shrubs, flowers or gardens. Bag or bulk available. Test results available upon request. Our supreme grade processed top-soil is geared towards professional landscapers and landscape architects that want to ensure terrific long-living turfs, trees, shrubs and landscape projects for their client base. Available in bulk. Test results available upon request. Every project has specific soil and compost requirements. Let Plan-It Organics customize a blend for you to ensure outstanding results for your landscaping or greenhouse business. Golf courses, landscape architects, mushroom farms and agricultural farms are among those that use and love this service! Private-label and custom bagging available. Send your soil requirements to Smith Creek and we can custom blend it for you and deliver it.